In the latest 1,000 MW wind auction conducted by the Solar Energy Corporation of India (SECI), the lowest bids were Rs 2.64 (USD 0.0404) per kWh by ReNew for 250 MW and Orange for 200 MW. To round out the winner, there were three other winners at Rs 2.65. Compare this to the lowest auction price of Rs 3.42 (USD 0.0523) in August 2017 during wind auction by Tamil Nadu Generation and Distribution Company. At USD 0.0404, the price of wind in India is approaching prices in the Texas region of US, where PPAs are below USD 0.02 (add to this USD 0.023 in production tax credits for 10 years). Note, the wind speeds in India are lower than Texas, while the total installed cost in India is lower. This article also points out that the lowest solar auction in India has yielded an astonishing Rs 2.44 per kWh (USD 0.03733). With this race to the bottom in RE prices, lot of players in India are questioning if the utility-scale RE industry will get decimated. Similar questions were being raised about the US wind industry 3 to 4 years ago when PPA prices in Texas dipped below US 0.02, and so far the industry has survived. 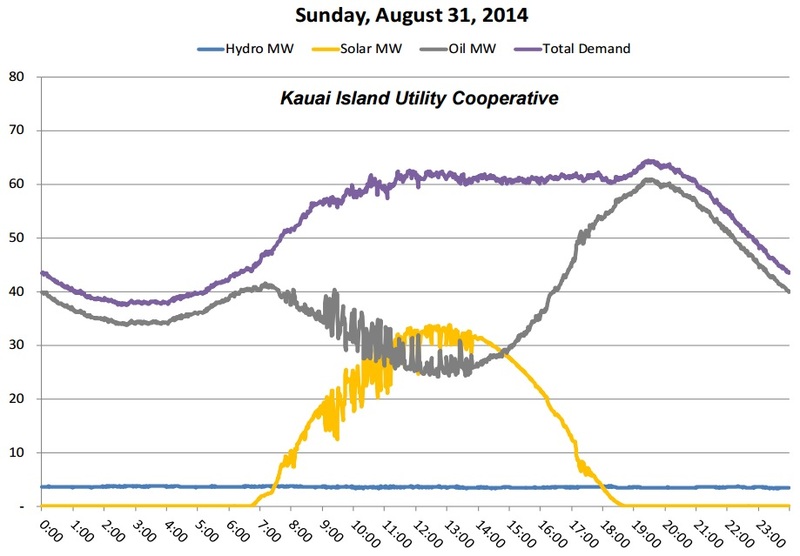 In Kauai island of Hawaii, AES is installing 28 MW of solar PV with 20 MW/100 MWh of battery for $0.11/kWh. In 2015, 13 MW solar PV with 52 MWh battery from SolarCity was signed for $0.145/kWh. With significant storage, this was billed the "first fully dispatchable solar plant." If KIUC could move some of it solar generation to later hours, it could decrease its reliance on dirty fuel oil, prevent solar curtailment at midday, and save customers money. GE has published a good website with all the resources related to enhancing asset performance. US Energy Information Administration (US-EIA) reported that for the first time in about 40 years, transportation sector emitted more CO2 than the power sector. "First Solar slightly curtailed power output at a 300-megawatt solar farm in California, enabled its array of inverters, and plugged into CAISO’s system. It then orchestrated the plant’s output to follow CAISO’s automatic generation control (AGC) signals, respond to its frequency regulation commands, and use inverters for voltage regulation, power factor regulation and reactive power control." As a result of these, the capacity factor of WTGs has increased from 26% to 41%. With these efficiencies and cost reductions, PPA for wind projects in US are averaging about $0.02/kWh in 2015.